You play as a tiny space craft defending your star from incoming planets. 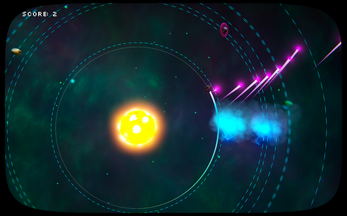 Use your ship's blast-lasers to destroy threats while avoiding collision. Your ship is locked into orbit around the star - you can adjust the size and direction of the orbit to maneuver around obstacles. 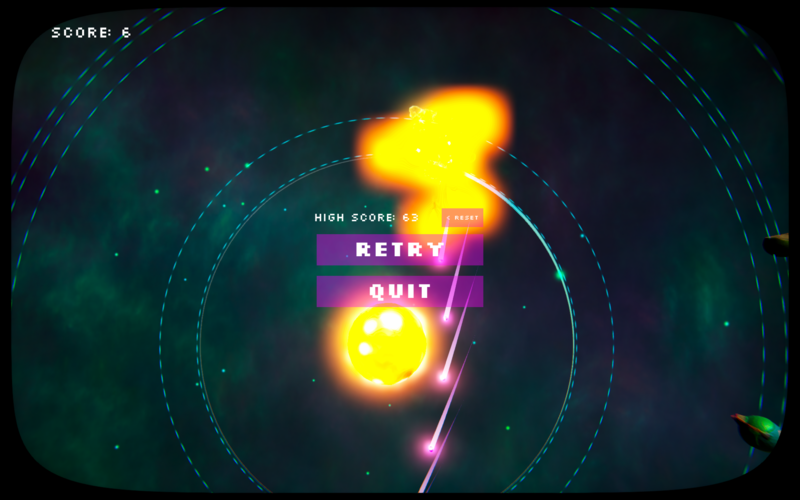 Each solar threat you destroy awards you a point - shoot for a high score! The particle effects in this game are downloaded assets. Models, animations, music and design are all original. 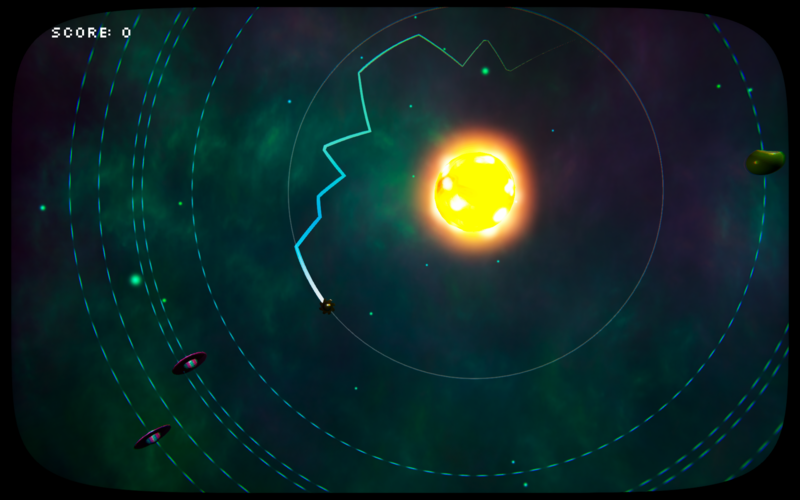 Version Alpha 0.2.1 has some new stuff! Check it out! Hold L Shift to increase your speed. Helpful for getting to the other side of the sun quickly. 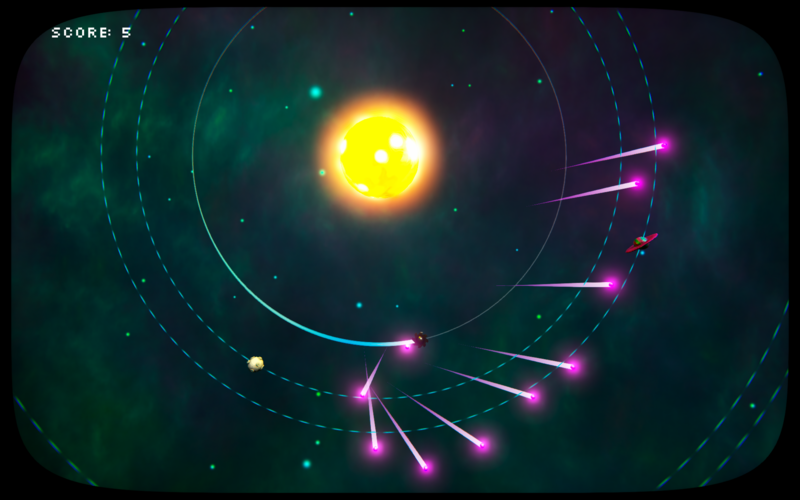 Hold Space to charge and execute a powerful shock-wave which changes your orbit direction as well as destroying nearby planets. The asteroid enemy barrels toward the sun at great speed. You will need to prioritize taking the asteroid out as soon as you hear its unique sound. The rate at which the orbit expands and contracts now accelerates rather than instantly expanding or contracting at top speed. 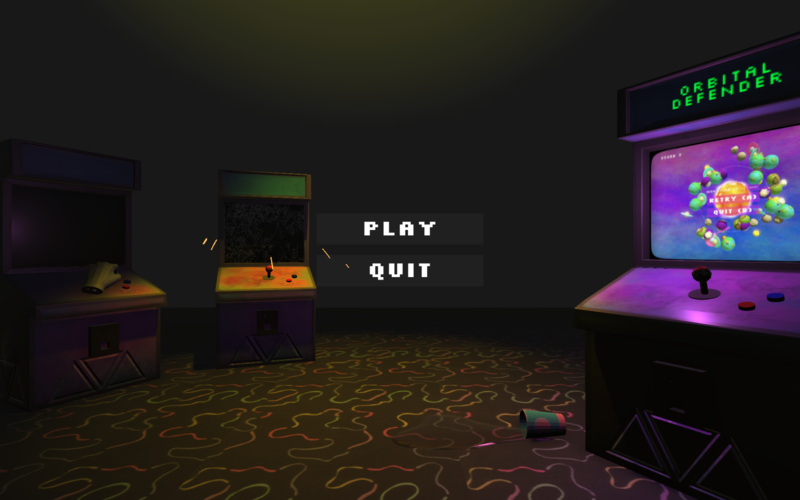 Space bar no longer resets the game on gameover. IMPORTANT: Although this game is fully supported for use with a mouse and keyboard, it is intended to be played with a controller. Update (Alpha 0.2.0 and on): We've improved mouse and keyboard input and we now believe it to be a superior input method for OD. New build, new leader-board! The slate is wiped clean. Wanna be on the leader board? Submit a screenshot of your final score in the comments below along with a 3 character name for yourself!